More and more organizations of all sizes and business requirements are making the move to Office 365, primarily due to its email offering. However, as solid a solution as Office 365 is, there are gaps. Although Microsoft has more control over the platform because it’s hosted in their cloud and they can enhance, improve, develop and tweak it all day long… there are still gaps. There are risks. And these reside primarily in the areas of security, data assurance, continuity and backup/recovery. 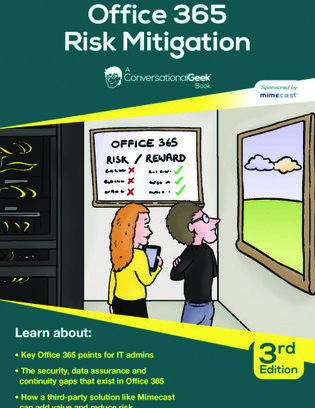 In this e-book, learn more about these risks and discover ways to mitigate them.